All proceeds from the fourth annual tournament will go to the deputy's family. SIDNEY — In its opening game Sunday morning, the softball team of the Somerset County Sheriff’s Office could have done better. 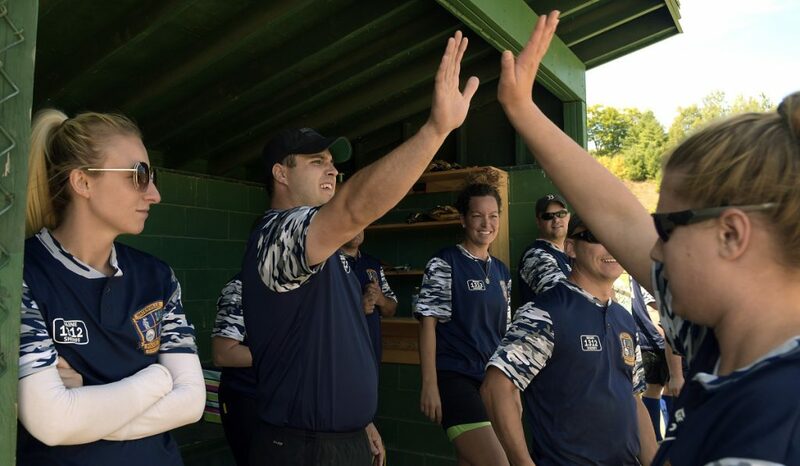 They lost to the Augusta Police Department by 10 runs, with a final score of 12-2. “This is literally ‘The Bad News Bears,'” complained Mike Cray, a reserve deputy in Somerset County, after the Augusta team scored a home run. But Cray, who was serving as the squad’s coach, was only kidding; his team took the loss in stride. They could be forgiven for the outcome, which came early in the Blue Lives Matter Softball Tournament at the Sidney Pit Athletic Complex. It was only the team’s second tournament playing together, and the Augusta team was more warmed up after already playing another team that morning. More than anything, the Somerset County team was just grateful that so many people had come to the tournament. In its fourth year, the event was being held in honor of Cpl. Eugene Cole, the 62-year-old Somerset County sheriff’s deputy who was killed in the line of duty last April. This year’s tournament was organized by the Kennebec County Sheriff’s Office, and all its proceeds were going to Cole’s family. Twelve teams signed up to play this year, including new entrants from the Portland Police Department and the Maine Drug Enforcement Agency. At least one member of Cole’s family, his daughter Jill, came out for the event and played on their team. She took right field during the game against the Augusta Police Department, and her yellow jersey had the word “daughter” emblazoned across its back. While Jill Cole declined to speak with a reporter, other members of the Somerset County team were effusive in their statements of appreciation for the large turnout. Lafreniere has been a deputy for the last three years. For half of that time, he was supervised by Eugene Cole. For the other half, he has been supervised by Cole’s son, David, who is a detective in the department. Lafreniere, who played shortstop on Sunday morning, insisted that it didn’t matter how many runs his team put on the board.